Don’t toss that heart-shaped box that once held more chocolate than any one person needed to eat! 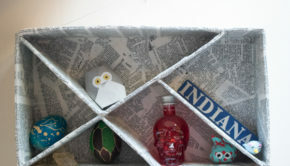 Valentine candy boxes are typically trashed as soon as they’re empty, but you’ll never throw another one away again once you see all of the awesome new things that you can upcycle them into. 1. 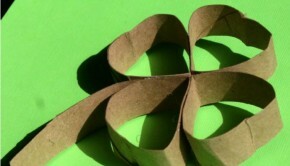 Shamrock decoration. This is an especially apt way to upcycle your Valentine candy boxes, as it gets them used up just in time for the very next holiday! 2. Bead-embellished box. The author of this tute found a way to upcycle her heart-shaped candy boxes AND her Mardi Gras beads! 3. Jewelry holder. If the candy compartments look just as decadent as the chocolate, use the box to store rings and small brooches. 4. Picture frames. These would be super cute to showcase a special Valentine’s Day memory. 5. Shadow box. 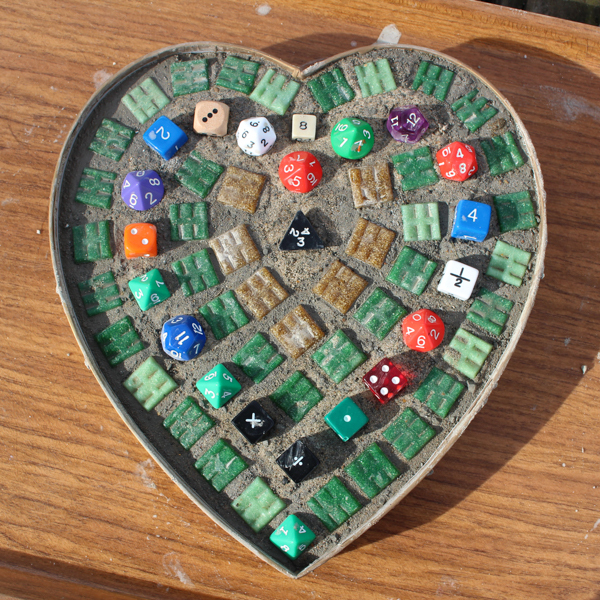 Display lots of small treasures on DIY shelves in this heart-shaped box turned shadow box. 6. Chalkboard art. 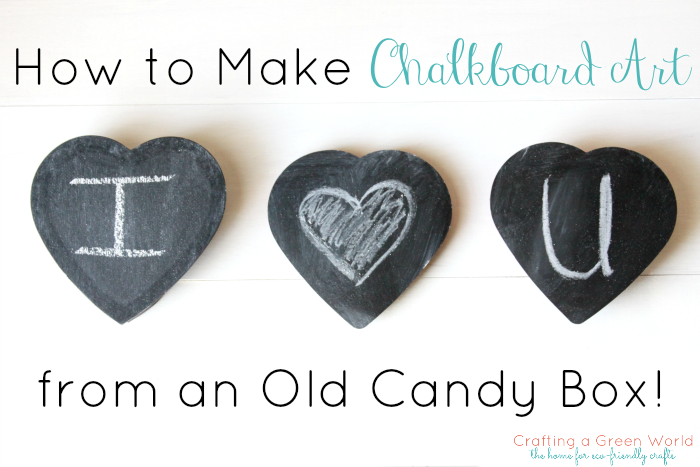 All you need is a can of chalkboard paint to transform your old heart-shaped box into a cute memo board. 7. Artist’s journal. There’s no limit to your creativity when you alter a Valentine candy box into this artist’s journal. 8. Picture frame. I love this brilliant idea to use the candy box’s insert as a stencil to fussy cut your photo for this candy box frame. 9. Pincushion and needle box. This project would work well with a small box of chocolate–it will help make you less sad that you only ate a small amount of chocolate! 10. St. Patrick’s day candy box. 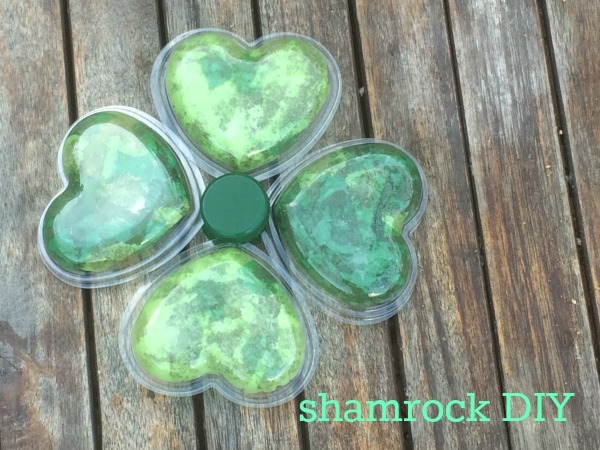 Here’s another St. Patrick’s Day upcycle for you, this time with Hershey’s Kisses. 11. Wall art. 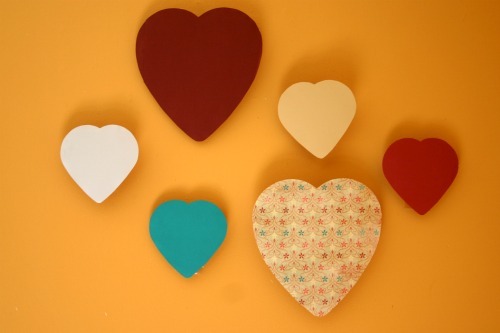 You’ll never be able to tell that these dimensional wall ornaments used to be Valentine candy boxes! 12. Lucky clover sign. Another piece of St. Patrick’s Day decor, this sign could easily be made with cardboard boxes, keeping the chalkboard paint and green paint identical. 13. Standing picture frame. This picture frame is especially clever because it uses both sides of the Valentine candy box to enable the picture frame to stand independently. 14. Tetris light boxes. This anytime decor will really let your love of Tetris shine through. 15. Marquee lights. If the idea of using your candy box for lighting intrigues you, check out this tutorial for turning your box into a marquee light. 16. Cement mosaic. 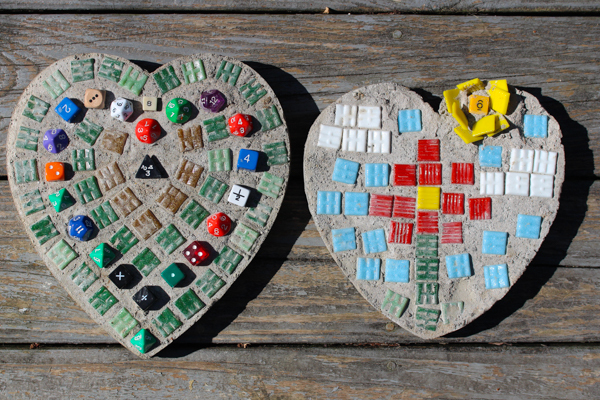 This tute uses the heart-shaped candy box as a mold to make a mosaic stepping stone. 17. Faux basket. Wrap the candy box in twine and add a fabric liner. Now it’s a basket! 18. Light-up heart. The author of this tutorial uses a star-shaped candy box (which I SUPER want! ), but a heart-shaped box will work exactly the same. 19. Recharge station. Nobody will notice an assuming box of candy on your counter, or know that it’s secretly hiding all of your chargers! 20. Ring storage box. Upcycle an old sweater into the ring holders inside your upcycled box. Do you have a favorite way to upcycle Valentine candy boxes? Let me know in the Comments below!